WOW. Today was crazy. Things were going well, we were about an hour from our hotel for the night and then Dad said “UH OH.” In my opinion, that is never good! If you know about Kevin, you know he is pretty tough. This seemed to even have him scratching his head and mom was trying hard not to cry. I was thinking that for some reason, New Mexico just hates me. We end up pulled over on the side of the road and waiting. Someone was supposed to come and then didn’t. Let’s just say there was a lot of praying between the three of us. Then all of a sudden there was another person coming and I think that is who we were supposed to meet. They are the nicest family with the cutest kids EVER. They helped us get things figured out and get us to a hotel for a night. We will only end up being a little later than expected to Arizona. The people at La Quinta were all “You stay with La Quinta all the time, you have points for a free night.” That was awesome. Ortega’s should know in the morning about our car and we are all saying more prayers and crossing fingers. 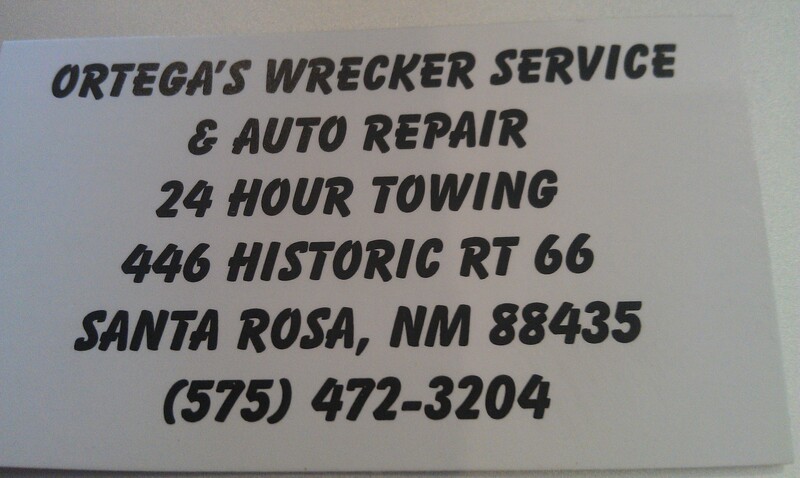 If for some reason you are coming through Santa Rosa, NM and you need help on your car, please call the Ortega’s. They like archery peeps! Kind of a bonus is we are chilling in our room before we would have checked in further down the road AND we are going to eat at a historic Route 66 restaurant for dinner. Remember, look at the bright side!